You do not need to book that two-month-wage’s worth of ticket to Venice anymore as you the place will bring home the Venetian vibe with its architectural features: high arches, rustic facades, and a clock tower nearby, among others. Visitors can even feed pigeons of different colors – a total Piazza experience for everyone! The place is not only perfect for people finding a photo shoot location, but also for busy individuals looking for a getaway. Good news for the foodies out there. Grand Canal Mall will be found at McKinley Hill, a 50-hectare township which not only caters dining destinations, but also houses large multinational companies, top business process outsourcing firms, international schools, embassies and high-end luxury residences. There is a total of 90 restaurant and commercial stores in the vicinity as of writing, including those in dining hotspots Venice Piazza and Tuscany. You can never go wrong with this place as you can choose from numerous diners serving Italian and Mediterranean cuisines. If Italy is among your esteemed travel destinations but you are trying to save up money for it yet, Grand Canal Mall, therefore, is something you should look forward to. 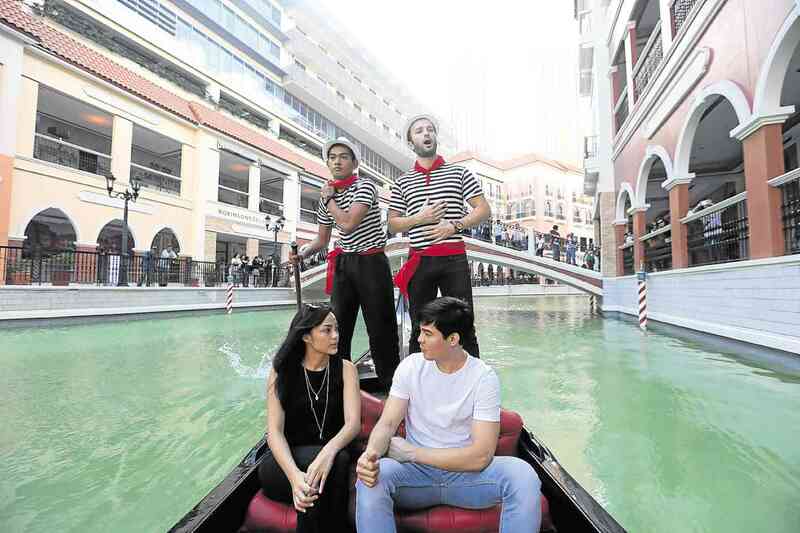 Here’s a short instruction how to go to Venice Piazza Mall in McKinley Hill, Taguig City. For commuters, from North Bound or South Bound, you can ride The MRT, go down at Ayala Station. From Ayala Station, ride a Bus going to the Fort, you can take the West Bound Bus, the air con bus can be found a few steps away from the MRT Station. The fare is P12 per head. Take note, You need to buy the ticket first before riding the bus. Go down at the corner of Fifth Avenue and McKinley Road, It’s the first stoplight upon entering The Fort vicinity. Look for jeepneys bound for FTI Gate 3. This will pass by McKinley Hill. From McKinley Hill, you will just need to walk around 1 km or less. Aside from Ayala Station you could also try going down at Guadalupe Station, from there you could look for jeepneys bound to FTI Gate 3 which can be found at the market area. Yes that’s for real! When i wen there it is still under construction. No waters yet in the river. I was shocked then when I saw the latest feature of the place. Wow, gotta penned this on my bucket list. I actually got an information. A friend of mine who just recently visited Manila. She mentioned that the place is not that good as before. Sorry to hear about it. They should have maintained it well, this made me sad though. Tsk. Tsk.